The Lancashire Cookbook, featuring Preston city centre’s dining scene, has been flying off shelves across the region. Preston’s restaurant offer has evolved significantly which led to an exclusive invitation to feature in a best-selling book. 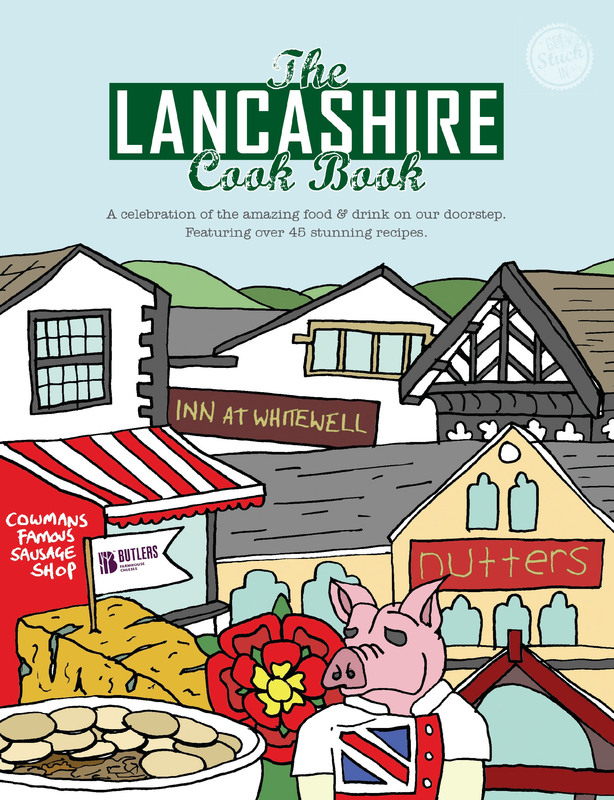 The Lancashire Cook Book outshone its regional title competitors across Manchester, Yorkshire and Cheshire in key supermarkets, being narrowly beaten to the number one spot by Great British baking institution, Mary Berry’s book! Mark Whittle of Preston BID, who was asked to write a feature on Preston’s dining scene for the book said: ‘we know full well that Preston’s restaurant is the best it’s ever been and continues to grow and improve. ‘We were delighted to be the only city invited to feature in the publication and we’re even more delighted that tens of thousands of people across the region now know why Preston is a great place to come and eat’. The BID ran a competition offering restaurants within the city centre the chance to have their recipe featured in the book. The winning recipe, ‘Bury Black Pudding and Egg Hollandaise’, came from the Holiday Inn’s Nineteen75 restaurant. Richard Simkin of the Guild Hall, operators of Mundo Tapas and The Villa Italian said: ‘We were pleased to open our two key brands in Preston. It was obvious that the city was becoming a real destination for foodies. The BID shines a light on Preston’s food scene annually with their ‘Love Food Love Preston’ campaign, which will return later in the year.